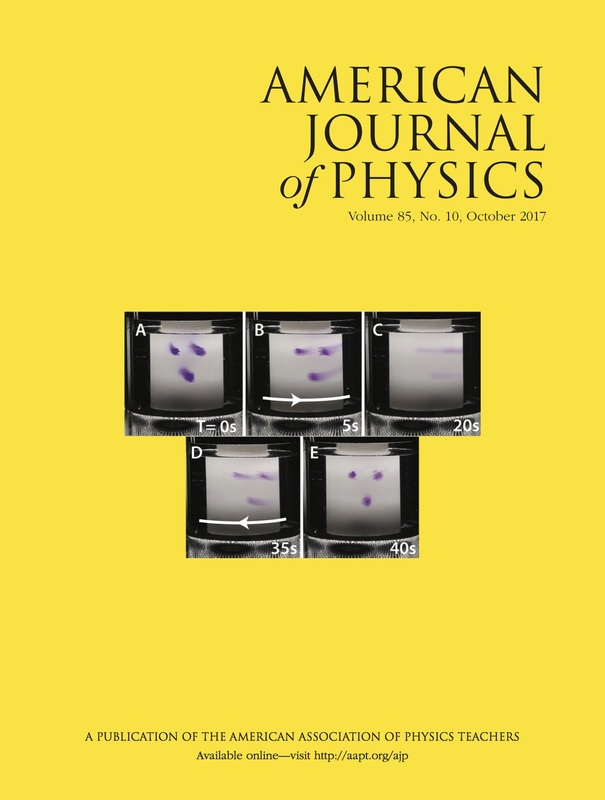 AJP Online: All issues of the American Journal of Physics are available online. Browsing abstracts and tables of contents of online issues use of the online search engine is unrestricted. Member subscribers should go to the AAPT home page or contact AAPT's member and subscriber services at 301-209-3333 or aapt-memb@aapt.org for information concerning access. Institutional and non-member subscribers should contact subs@aip.org with requests for subscription information or to activate access. Emailing the AJP Editor: In general, authors should not email the Editor regarding manuscript submissions. The editorial office recieves approximately 80 submissions per month and this does not leave time to respond to questions that are answered elsewhere. A thorough reading of this website will likely answer all of your submission questions. In particular, all authors should make use of our web-based submission system. The American Journal of Physics would like to thank the Massachusetts Institute of Technology for the generous use of their server to make this resource possible. This Web site is maintained by the editorial staff of the American Journal of Physics. Suggestions and comments are welcome and can be sent to amjphys@gmail.com.